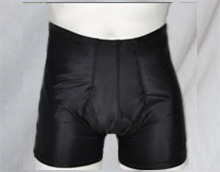 Equipped with a universal pocket (left and right) Ostomy underwear FloriLee® 3XL, here is a model of the most sophisticated boxer for ostomate, whose designer, an ostomate too, was able to meet your expectations. 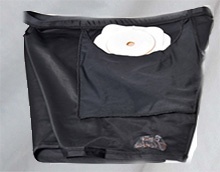 New and unique, this ostomy boxer (colostomy ileostomy and urostomy) has a fly at front without any buttonhole and a side pocket at left or right that can hold the ostomy bag. It is lightweight, flexible and comfortable and can easily be worn all day. Our priorities are comfort, style and service for ostomates.